Sringeri Sri.Chandrasekara Bharati Swamigal's teachings. 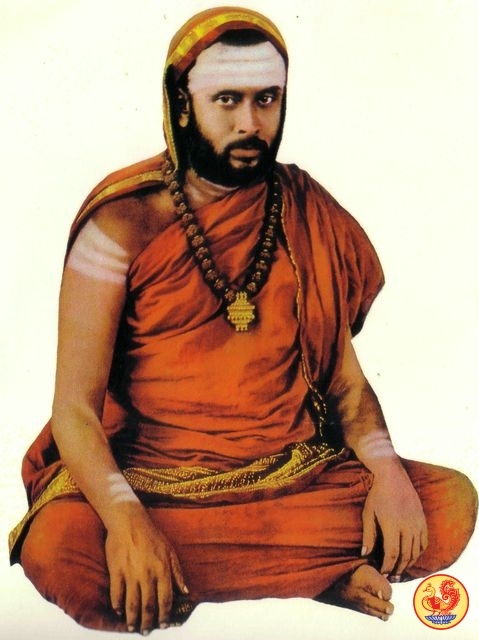 One devotee was speaking with Sri.Chandrasekara Bharati Swamigal ( Sringeri Mutt) .He commented that people in the world had become very bad .Swamigal replied" the world is remaining as it is ". If all all are good in the world ,we call it as "heaven".if bad,then we call it as "hell".As both good & bad are combined together, we call it as "world ".Swamigal continued the speech.In Satya yuga Devas & demons lived separately.Demons were thinking that the body as the soul,& they tortured others because of their egoism(Ahankara).Devas were interested in pursuing spiritual path,having the aim of reaching or realising God ,applied their mind in devotion to God.Since they were in separate world ,there were no fighting in between them.During Ramayana period both of them lived in the same world.Ravana & his associates lived in Lanka , where as Sri.Rama & his people lived in Ayotya.Demons interfered in the life of Devas & caused lot of sufferings to them.During Mahabharata period both of them were born in the same family.Fighting erupted between divine & devilish characters .In this Kaliyuga Devas & Devil characters are with a man himself.Some times he behaves like a deva & some times as demon.His conduct & character is changing .It is not a steady behaviour.Now the Mahakavi Bharatiyar's poem is coming to my mind. "உலகத்து நாயகியே எங்கள் முத்து மாரியம்மா ......கலகத்தரக்கர் பலர் எங்கள் முத்து மாரியம்மா , கருத்தினுள்ளே புகுந்து விட்டார் எங்கள் முத்து மாரியம்மா .One can remember this song tuned by Sri.Pithukuli Muruga doss. of Sringeri Sarada Peetham .His devotion to his Guru Sri.Sachchidananda Sivanabhinava Narasimha Bharati & to God were boundless.He lead a very simple life .He became the head of Sr. Sarada peetham at the age of 20.He administered very well.Yet he was very humble.Photo courtesy Sri.Sarada peetham - Sringeri.Excerpts from Dharma Chakram magazine - Tirupparaiturai.